What is it about twins that fascinates and amazes on a deeply human or even an eerily superhuman level? 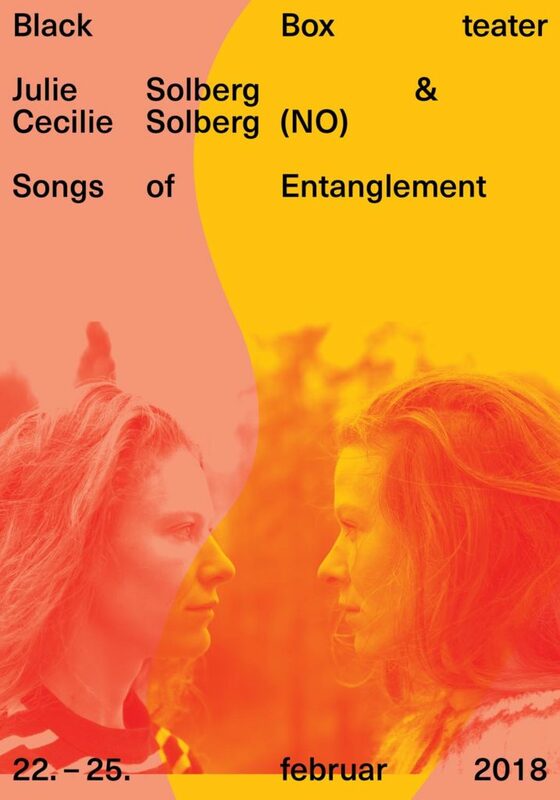 In Songs of entanglement the performers and sisters Julie Solberg and Cecilie Solberg are staging their twin relation, playing with expectations and the imaginative force of the audience. As twins they are often viewed as a sort of ready-made, a perception Solberg and Solberg put into play. They dig into personal voices, songs, rituals and the potency of twins as symbol and myth to capture the existential themes at work in the twin relationship and the imagination of the audience. “In quantum physics, entangled particles remain connected so that actions performed on one affect the other, even when separated by great distances. The phenomenon so riled Albert Einstein he called it “spooky action at a distance.” Karl Tate, How quantum sience entanglement works. “When looking for dramatic themes like love, death, appearances, deception, secrets and betrayal, what better place to search than your own family?” Raymond Frenken, On the threshold of fiction. Idea, concept, performers: Julie Solberg, Cecilie Solberg. Choreographer / outside eye: Kristin Ryg Helgebostad. Composer / outside eye: Ingvild Langgård. Scenographer: Mari Lassen Kamsvaag. Light design: Corentin JPM Leven. Vocal coach: Ruth Wilhelmine Meyer. Producer: Jorunn Kjersem Hildre. Support by: Norwegian Arts Council. Co-produced by: Black Box teater (Oslo). Julie Solberg is performer and theatre maker educated at the Amsterdam School of Arts. She has worked with artists such as Susanne Kennedy, Karen Røise Kielland, Fiksdal / Langgård / Becker and Øystein Johansen. 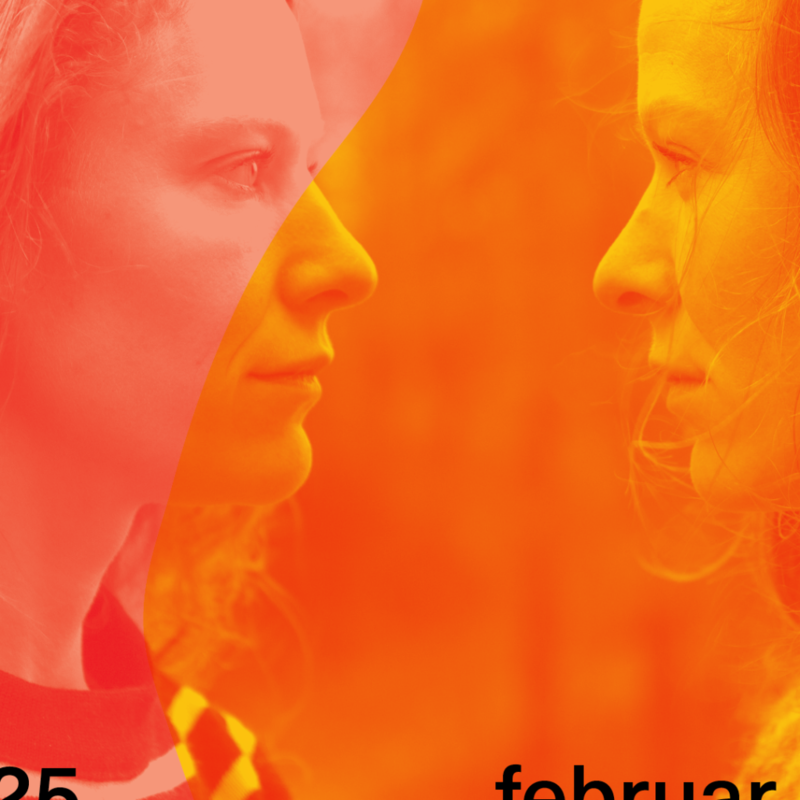 As part of A Kiss Me Production together with Erika Cederqvist, she has created and performed works that has been presented at Black Box teater. Cecilie Solberg is a performer educated at London International School of Performing Arts. She has collaborated with theatre maker Yngvild Aspeli on several performances for kids and youth. Her latest work Camouflage! is a play for children in collaboration with Brageteatret. Songs of entanglement is their first piece together. In it the two twin sisters set their individual work aside and focus on their personal relation and what it might generate.